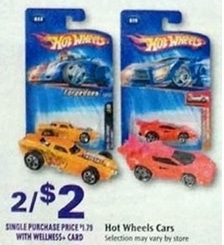 Hot Wheels Cars Only $0.80 Each at Rite Aid! Wow, print this coupon while you can to score a great deal on Hot Wheels at Rite Aid starting 3/17! Final price only $8, or $0.80 per car!